Christmas will be here before we know it (in 20 days!) – have you decorated the house, put up your tree, bought all your gifts, sent out your cards, prepared your dinner menu? I haven’t. This is without a doubt a hectic time of year, but regardless I always enjoy Christmas time and executing all of the above tasks to get me into the holiday spirit. Making cookies and wrapping gifts are probably my two favorite tasks at Christmas time, even more so when I am making cookies to give away as gifts. For this week’s Face Off we bring you two unique holiday cookies that would make great gifts – Vegan “Butter” Cookies vs. Christmassy Macaroons. My Vegan version comes from a family recipe which is typically made with butter. 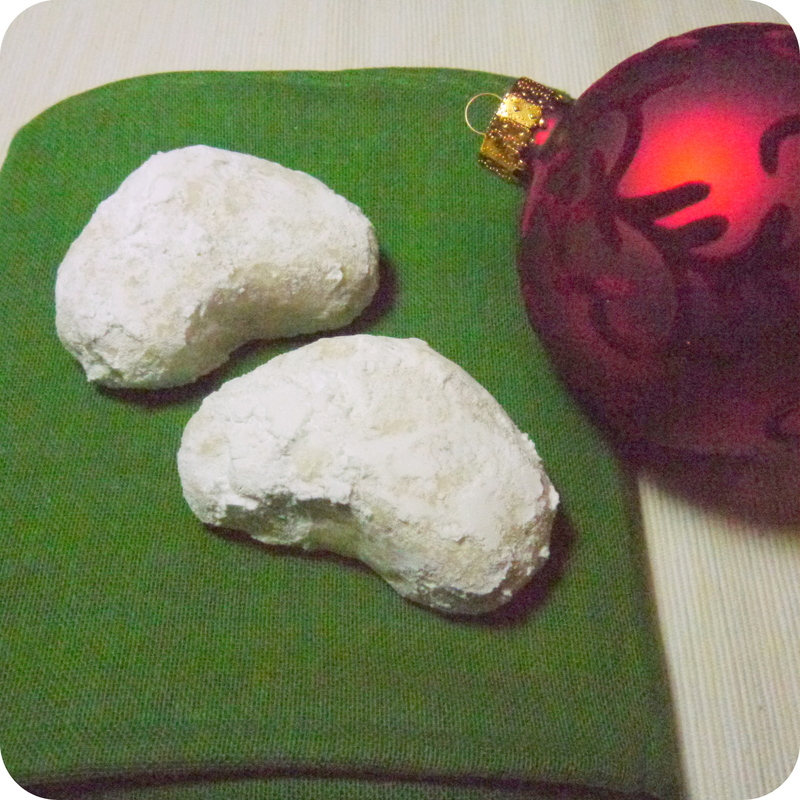 Just swap it out with Vegan butter and you have my favorite Christmas cookie of all time – Pecan Crescent Cookies. These are a labor intensive cookie to make, so be ready to spend some time in the kitchen and make sure you put on your Type-A hat before attempting. Morgan’s cookies are a lemon macaroon with a decadent Christmas twist. 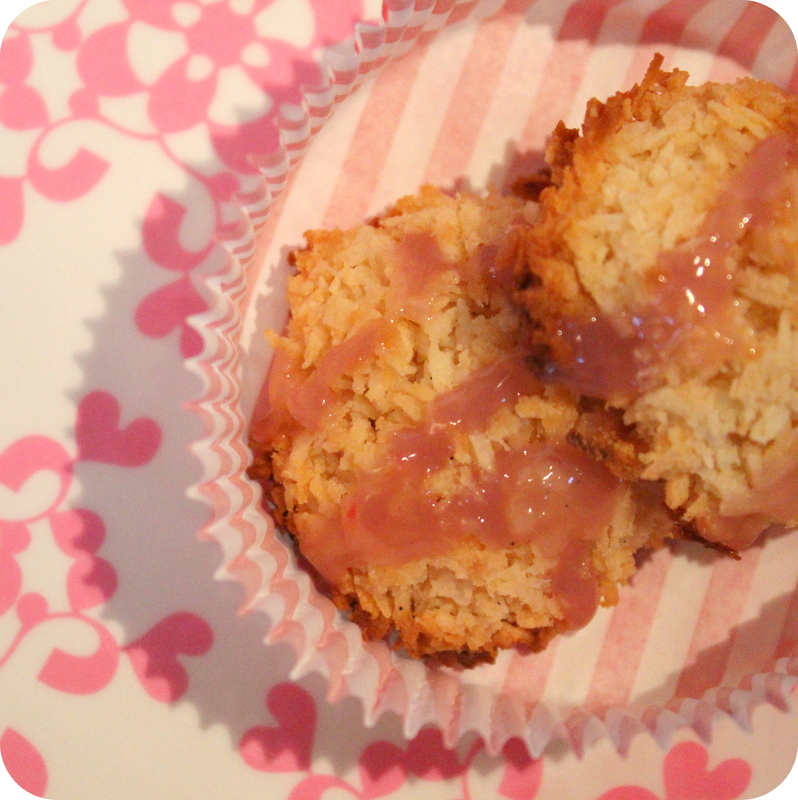 She smothers each lemony-coconut macaroon with a white chocolate cranberry sauce (drool). These are much lighter than the butter cookies above, but is a welcome change to your standard Christmas cookie.